This lasts months, Good product, Great price! 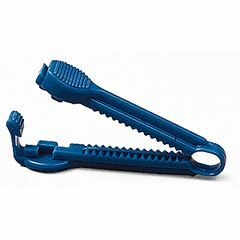 The clip works very well but unfortunately it is very difficult for an elderly person to clip closed. It is difficult for me to clip it for my mother. Also, I haven't quite found a way to unclip it without spattering urine.